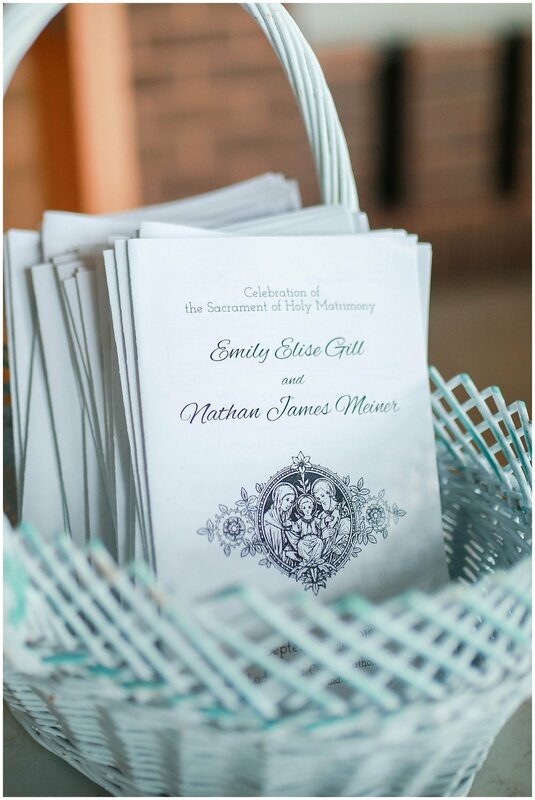 Emily’s words echo back from her wedding day throughout her courtship, dating relationship, and friendship with Nathan. From the very beginning, Emily and Nathan kept Beauty himself at the center of their relationship. Their trust in God and peaceful, intentional discernment eventually led to a garden proposal--which included a beautiful rosary as an engagement gift and a ring pop. But perhaps the most inspiring part of Emily and Nathan’s story is their confident, consistent awareness of the Lord’s presence in even the smallest details of their wedding day. And not just his presence, but also the joyful presence of his loving mother, the Blessed Virgin. From the Groom: Emily and I met through church in college and became part of the same group of friends, but we didn’t get to know each other very well at first. Not until we landed full-time jobs in the same city after graduating in 2016. Both of us were coming out of some broken relationships and were looking to “find ourselves” out in the real world. 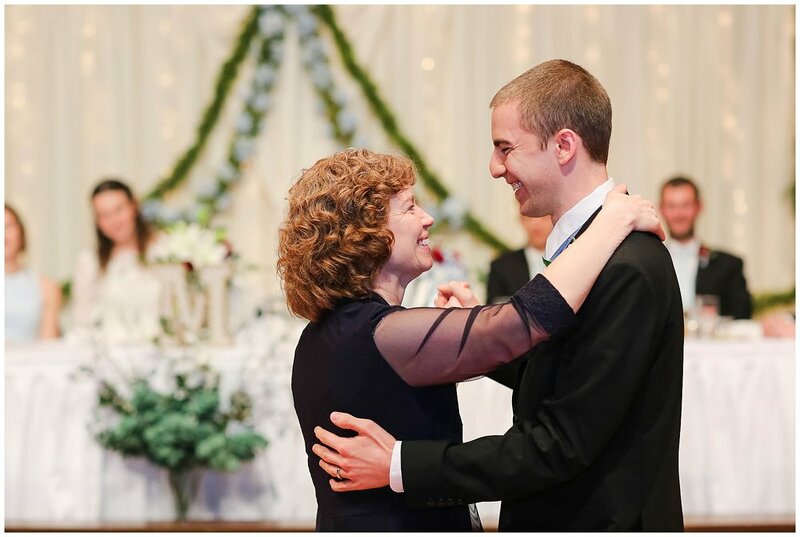 From the Bride: Shortly after graduation, I started attending a young adult small group through my parish and invited Nathan to join as well. Seeing each other at these weekly meetings helped us learn more about each other and become closer friends. Nathan: That fall, we went with a group of friends to a Catholic dating seminar. The speaker, John Antonio, was a former seminarian who presented a more intentional approach to relationships. It was similar to the progressive stages of increasing commitment he made while in seminary. Dating Emily wasn’t on my radar at the time, but we received the same mental framework for dating that would help guide us later on. Emily: My relationship tumult continued, and I was confused by my strong interest in several guys, including Nathan. I wanted my next relationship to be different. It needed to be different. So I prayed more fervently and made a stronger, more conscious effort to entrust my relationship decisions to God. Soon afterwards, I prayed the 30 day novena to St. Joseph with the intention that I would meet my future husband sometime during the year. We didn’t have to get married that year, but I wanted to know who. The whole idea was a longshot, but this was a good opportunity to practice trusting in God more fully. And St. Joseph is not known for letting people down! Nathan: I had my first inkling that I might end up with Emily in September 2016, but life circumstances at the time prevented our relationship from blossoming. In January 2017, I signed up for a Catholic young adult volleyball league and sent a message out to recruit teammates. It sounded fun, but in the back of my head I knew that my parents met in a young adult volleyball league, and I was hoping I’d find somebody there too. Emily was the only one to accept my invitation. Over the next couple months, I became more certain that I should take a chance with her. Emily: About a week after I completed my novena, Nathan approached me and said he’d like to talk to me about “some stuff” soon and then walked away. I freaked out a little. So after our small group meeting the next day, I pulled him aside to ask what “stuff” was. Turns out we had been thinking about each other quite a lot. Wanting to set a more intentional course, we agreed on a “mutual discernment period” that ran through the end of the volleyball season to see if our friendship would blossom into something more. Nathan: Things progressed nicely over those two and a half months, so while on a date in June 2017—after a strange sequence of events that led to hiking along a mosquito-infested pond behind a grocery store—we decided to make it official. As boyfriend and girlfriend, we wanted to “step it up” and set a more lasting spiritual foundation for our relationship. Emily and I started some spiritual traditions together: Mass, weekly adoration, and nightly prayer. We grew to love God and each other more in the process, and it didn’t take us long to realize we wanted this relationship to continue for the rest of our lives. Emily: On October 7, 2017, I met Nathan early in the morning in our church’s rosary garden. I had a feeling that day would be “the day,” but I tried to quiet my heart and focus on praying with him. After finishing our rosary, we stopped in front of the statue of Our Lady, and Nathan proposed. But he didn’t ask me with a ring. He didn’t ask with anything but himself, and I said yes! Afterwards, he gave me a beautiful rosary as an engagement gift…and a ring pop. We wanted the wedding to reflect our vision for marriage: Christ-centered, and therefore, full of beauty. However, we knew this beauty wasn’t just for us, but for everyone witnessing it as well, so we would all be drawn closer to Beauty himself. We also knew we couldn’t do it alone, so we asked the Holy Spirit to guide us every step of the way. To honor the Blessed Virgin Mary, we chose to have our wedding on September 8, the feast of her nativity. I half-joked with a friend that our wedding cake was actually Mary’s birthday cake. It wasn’t until after the wedding that we noticed how much she made herself quietly, humbly present in every detail of the day. So many little things pointed to her. Even the decorations behind the head table at the reception seemed to form the Auspice Maria symbol, which we recently discovered is Latin for “under the protection of Mary.” Really, we didn’t plan this! And yet, she made it so clear she wanted to be part of our celebration. I am also a believer that God works through Pinterest. 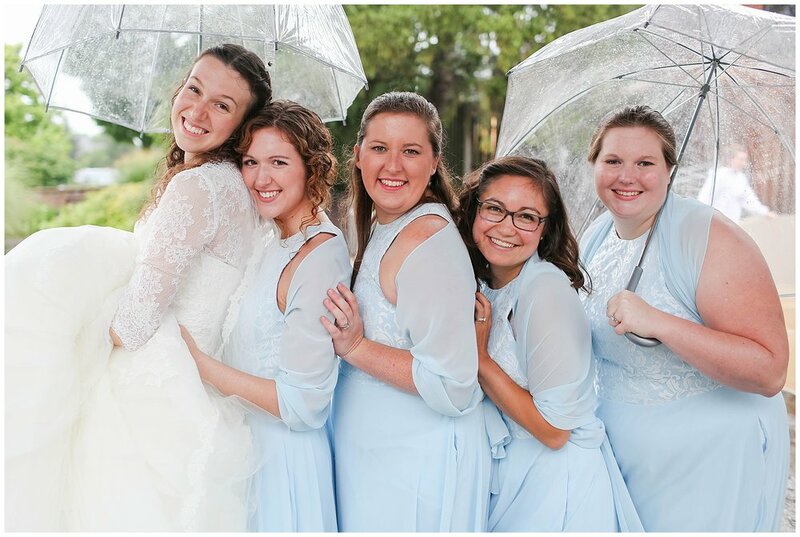 We found some gorgeous color palettes that included light blues, greens, and a dash of red. After reflecting on our choice, I realized that light blue could point to Mary, the red to the Precious Blood and sacrifice, and the greens to new life. Our flowers--lilies, roses, and light blue hydrangeas amidst eucalyptus and baby’s breath--also held a special significance for us. Lilies are my favorite flower, mainly due to their association with Mary and St. Joseph, and roses are significant for both Nathan and me. My patron saint is St. Therese the Little Flower, and roses became special for Nathan after he gave a talk on a retreat that used a rose to symbolize the sacrificial nature of love. Much of our wedding also reflected our desire to be creative and share that creativity. 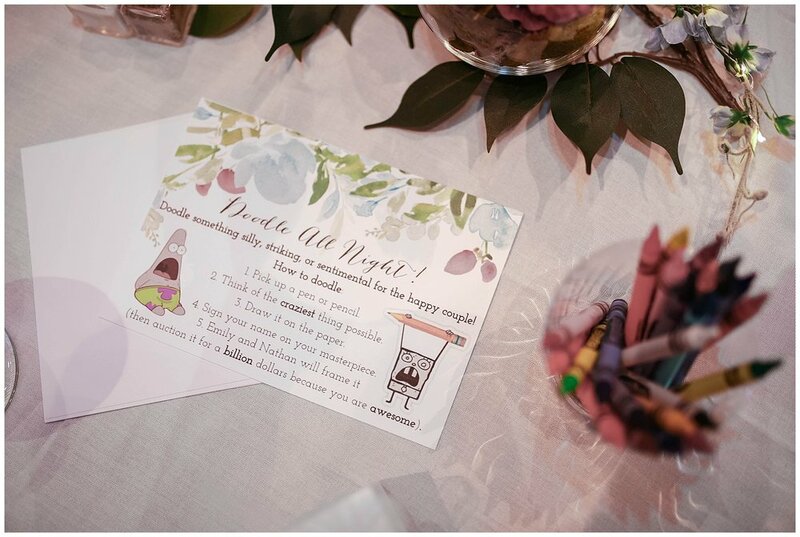 From our homemade save-the-dates and invitations to the crayons we placed at every reception table (so everyone could doodle, of course), we shared our love of creativity with our guests. After all, it is one of the most profound ways we reflect God, the Creator himself. My ring was also born of this God-given creativity. One reason Nathan didn’t propose with a ring was because he wanted me to choose one, and I elected to do a custom design. After many ideas and unsatisfying sketches, I decided to simply ask the Holy Spirit to guide my hand. The end result was astounding. My design incorporated all the elements I wanted: lilies, thorns, and sapphires, but the significance and symbolism of their arrangement didn’t sink in until I looked closer at the sketch. Around the central diamond is a “crown” of thorns, which radiates outward and touches the blue sapphires. Beyond the sapphires lie the lilies, from which leafy vines emanate. This is what I interpreted these elements to mean: Christ, the light of the world, suffered and died for our sins. Through Mary’s fiat, allowing Christ to come through her and humbly suffering alongside him, the resurrection was possible. And from Christ’s resurrection, we have new life. Surrendering to the Holy Spirit can be difficult, but the end result is always more beautiful. Planning the liturgy involved the most prayer and discernment. We have many friends and family members who are not Catholic, so we wanted to make the liturgy as beautiful and elevating as possible to draw everyone deeper into the mystery of the Mass and marriage. Nathan and I opted to walk down the aisle together at the beginning of Mass in lieu of my dad escorting me. While this is an uncommon choice at contemporary Catholic weddings, it is a richly symbolic approach that visibly communicates the covenant we are making with each other and with God (see Genesis 15 for how God seals His covenant with Abraham). It also makes it clear that no one was “giving me away” to Nathan. We were freely choosing this and hopeful of God’s blessing. 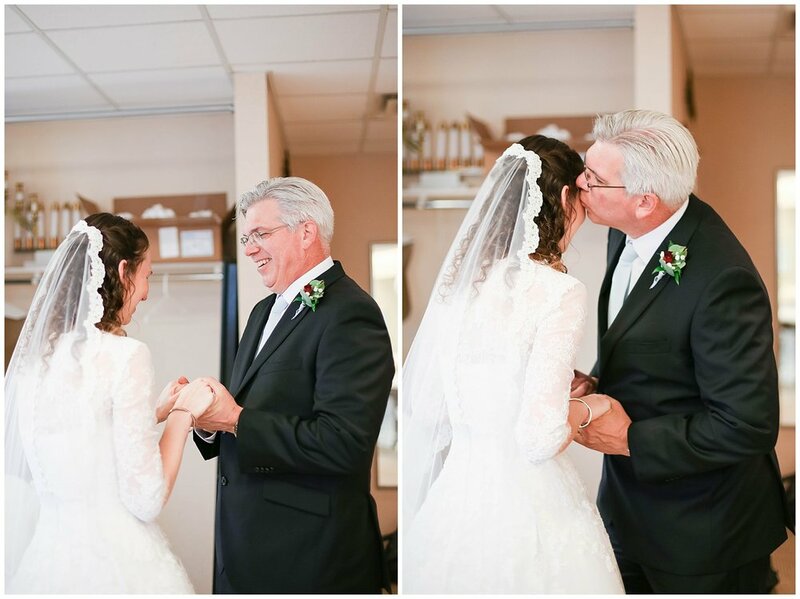 To spend a few special moments with my dad, I had a first look with him in the bride’s room. We chose Tobit 8:4b-8, Psalm 34, Romans 12:1-2, 9-18, and John 2:1-11 for our readings. St. Raphael is a key figure in the book of Tobit, and we credit him for helping us find each other through his prayer for the wise choice of a marriage partner. Continuing to honor and thank Mary, we offered her flowers as some of our dear college friends sang the ancient Carmelite hymn “Salve Mater Misericordiae.” It has been a tradition in our friend group to sing Marian hymns at each other’s weddings, so this was very special for us. It was our hope that this and the other music chosen would draw people closer to the beauty of God. In keeping with our desire to show our guests the beauty of the Catholic faith, we invited everyone to pray the Liturgy of the Hours with us as the last “event” of the reception. The Dominicans at our college taught us these prayers and a beautiful version of the Salve Regina. This became part of our daily prayer while we were dating, so this was another way to share our spiritual life with our guests. In the end, beauty triumphed. The word we heard most as we spoke with family and friends about the wedding was “beautiful,” and that's exactly what we wanted. We wanted the whole day to be beautiful. 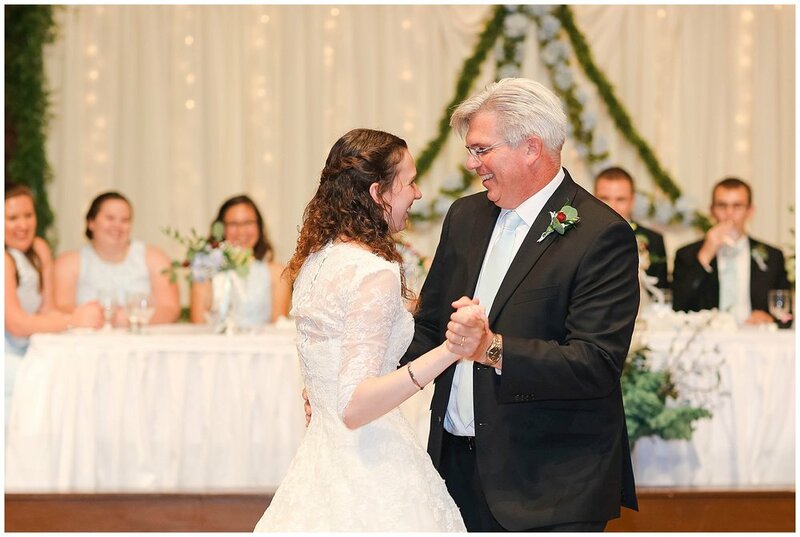 We hoped to draw people into the beauty of the Mass and the sacrament of marriage, into the beauty of fellowship, and ultimately into the beauty of God. But our wedding day was not just beautiful; it was authentic. By allowing God to work through our perspectives, talents, and desires, we were able to carry out his will in a way that was very distinctively us. Each one of us has a unique way of pointing towards God. Our way just so happened to include crayons, Night Prayer, SpongeBob references, classic rock, and Latin hymns. A strong theme in our relationship, wedding planning, and now our marriage, has been surrender: handing everything over to God, because he writes the best love stories. He knows the most beautiful way to do things. Ask him, and he will guide you to the beauty you seek in the present moment. It blows our minds that the astounding beauty we experienced that day isn’t even a fraction of what is waiting for us in Heaven, where we will finally, intimately, and fully encounter Beauty himself.